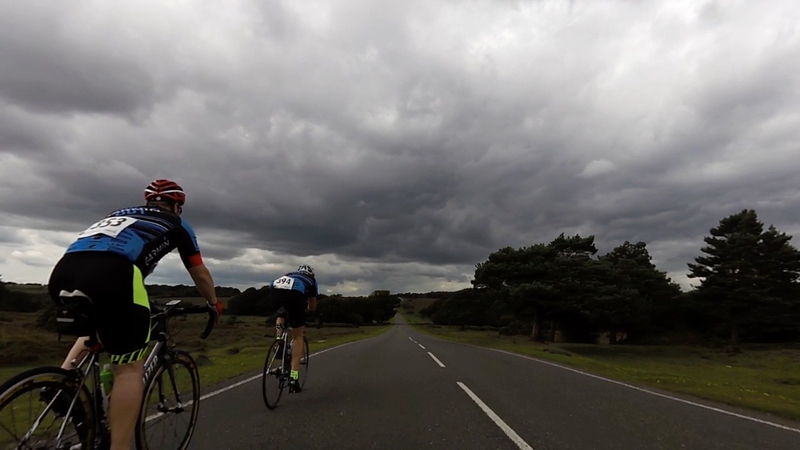 Garmin have held an annual Ride Out in the New Forest with their professional cycling team for at least the last four years. 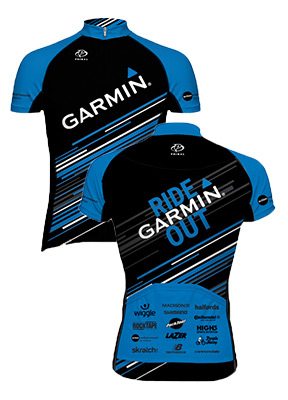 The ride out is invitation only, after expressing an interest through links on Garmin’s social media channels, every year I have entered and every year I have been unsuccessful. Its a very popular event and is always over subscribed, this year over 6000 riders applied for one of the 500 places. Good news – we’ve been able to create additional places at this year’s Garmin Ride Out and you are invited to attend. I was over the moon and couldn’t wait to sign up! This year the ride out was on Friday 4th September, luckily I was already on leave from work so would be able to attend. It was to be an early start to get to the New Forest from the Midlands so I had packed the car the night before. The alarm went off at 04:55, I made sure that I had everything I needed for the day, had a quick breakfast of porridge and a mug of freshly brewed coffee. I was out the door and heading south for the motorway by 05:30 thinking I had plenty of time to get to registration at 08:00. Turning onto the M5 I saw the dreaded “ROAD CLOSED” signs for overnight maintenance work, I quickly tried to workout a different route in my head to avoid the closure, ending up going down the M42 and A34. As a result of the diversion and the normal queues in Lyndhurst I was one of the last to arrive at about 08:30, I parked up and headed straight to registration. Having arrived late the majority of the other riders had already registered and were tucking into the free breakfast (bacon or sausage roll) and a hot drink, so it was quick and easy for me to sign in and collect my rider number, goodie bag and free jersey. The jersey is one of the best quality free jersey’s I’ve ever had as part of a give away at a sportive/ride and is now a regular sight around my local training routes. It’s an Evo custom jersey from Primal and fitted me perfectly – looking around it appeared that everyone else had a perfect fit as well. After getting my bike ready and having my second breakfast of the day, this time a bacon roll and coffee (5 hours after my first – so it’s not that bad) it was time to gather in the main marquee for the team presentation. The morning was hosted by Daniel Lloyd and featured interviews with sponsors and the Madison Genesis and Cannonade-Garmin professional cycling teams who would be competing in the Tour of Britain that started on the Sunday. I only had my phone and now wish I had taken a better camera with me. After the interviews the raffle was drawn by Daniel Lloyd and Frances Benali (from Southampton FC). The prizes were fantastic – Garmin Edge head unit, Cannonade Bike, Boardman frame, Southampton FC shirt signed by the entire 1st team to name but a few. I had bought several tickets, but unfortunately didn’t win. Now that the presentations and raffle draw were complete it was time to take to the road. With the increase of cycling popularity the New Forest has developed a cycling code to ensure the safety of not only the riders, but equally if not more importantly the wildlife and other users of the Forest. The code does allow for large organised events of this type, but asks that riders set off in small groups rather than a mass start as seen at other types of sporting events. Knowing that it would take a while to get all the riders off in small groups and rather than rush to the start, I took a look around the sponsors trade stands and got my bike ready. At 11:30 I headed off into the Forest on the fully signed and marshalled 47.5 mile ride. Unfortunately, being one of the last to set off I didn’t get to ride alongside any of the professionals (always next year!) but that didn’t spoil the day in any way. As it was a Friday the New Forest roads were nice and quiet which made riding on them even more enjoyable. The route took us to Brockenhurst, up the lovely Rhinefield Ornamental Drive and over the A35 to Bolderwood. Crossing under the A31 we soon turned right onto the old RAF Stoney Cross runway, as we left the trees of the Bolderwood Aboretum behind us the breeze started to pick up, causing a headwind to cycle into, why do I never seem to get a tailwind? Turning onto Roger Penny Way (every time I see that road name I think of the Beatles song Penny Lane – so much so that I’ve now got the tune going over and over in my head) I notice the clouds starting to build and I’m convinced I felt a drop of rain, looking down my Garmin Edge my thoughts are confirmed as I see little droplets of water on the screen. Luckily, it was just that and the rain did hold off for the rest of the ride. From Roger Penny Way it was down through Godshill and on towards Blissford. Having done several rides in the Forest I was expecting to have to climb the short but sharp 25% gradient of Blissford Hill, however today the ride took the easier route round and up to the feed station. I decided not to stop and went straight past the feed station as I had an almost full water bottle, a pack of jelly babies and a couple of gels in my jersey pockets – I always end up carrying too much food, either that or I don’t eat and drink enough whilst riding – after the feed station it was a nice easy spin to Ringwood, Burley and then to the finish. I was very pleased to roll over the finishing line in a time of 2 hours and 55 minutes, as with my current form I was expecting to be somewhere around the 3 hour 20 minute mark. I had averaged just over 16mph over the 47.5 miles! Overall an excellent day, extremely well organised and supported – I can’t wait to enter next year! If you are interested in taking part in 2016 follow @GarminUK on Twitter and keep an eye out for the details (it’s usually around June) and good luck if you enter. rider 394, that’s me and Gavin following LOL!